Rest in peace Sergeant Maldonado. Brother, today your murders were all sentenced to 238 years in prison, other life sentence and few of them will be prosecuted in the federal side of the justice. Your loss still be missed. Today your murderes were found guilty on First Degree Murder. Now you can Rest In Peace my brother! I ran a hero's 5k in your honor today Sir. You are not forgotten. God's peace and speed Sergeant Melendez-Maldonado. Thank you for your many years of brave, dedicated service. RIP Brother. Descansa en paz. Tu pueblo agradece tu servicio. Rest in peace brother and thank you for your service. As you join our brothers and sisters in the hall of heroes, my thoughts and prayers are with you and your family. Thank you for your sacrifice and may your rest in peace. The Albany Police Academy sends its deepest condolences to the Melendez-Maldonado family and the Puerto Rico Police Department. Rest in Peace Sergeant Luis Melendez-Moldonado. Thank you for your 30-year dedication to your community, Sgt. Melendez-Maldonado. You will not be forgotten. Rest in peace brother. Thank you for all that you have done. RIP MY BROTHER. MY CONDOLENCES TO THE COWORKERS AND HIS FAMILY. THANK YOU FOR YOUR SERVICE AND SACRIFICE. REST IN PEACE. Thank you for your sacrifice and service to the citizens of San Juan, PR. May the Lord comfort your family and fellow officers of the Puerto Rico Police Department during this very difficult time. Rest in peace sir. Rest in Peace, Sergeant Luis Meléndez-Maldonado. Thank you for your service to this country and your community. My thoughts and prayers are with your family and your department at this time. The willful and malicious slaying of a law-enforcement officer is a horrendous crime deserving the harshest punishment. Sergeant Melendez-Maldonado was a senior officer who for 30 years provided protection for the people of Puerto Rico. The public at large should be repulsed, incensed and feeling a sense of loss that is hardly describable. He has laid down his life in defense of law and order and for the people he was sworn to protect. Indeed a hero, if ever did a true hero exist. Each of us who wears- or once wore -a badge has the utmost respect and feels this loss, among many other law-officer deaths, deep within in the hearts. We realize the loss and the pain as any member of his family - perhaps because he is o u r family too. The officers responding and taking action are our heroes almost as much, as they have so demonstrated every bit of courage each of us would hope to muster in such a situation. They are the caliber of law-officers we all would wish be, or to have at our side, in similar circumstances. Go forth and accept our recognition as the ultimate of our breed. To those who caused Sergeant Melendez-Maldonado's death, may they face the full-force of justice - and later a free pass to the depths of hell. On behalf of Session 61 and the Zone 5 Regional Law Enforcement Training Academy Schenectady New York, our thoughts and prayers are with your department and family. We thank you for your service, rest in peace. Rest in peace Brother Luis. 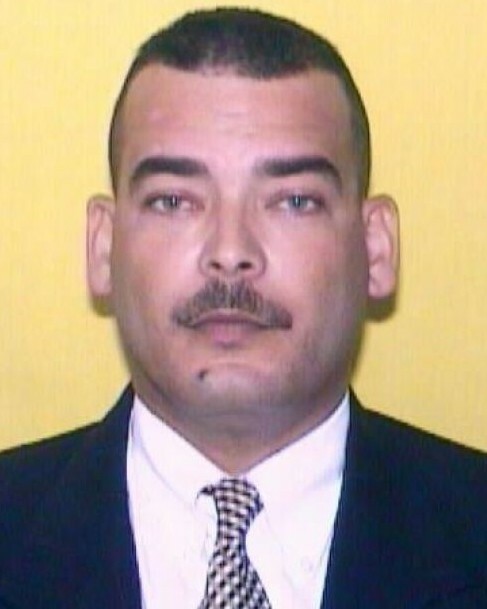 On behalf of the Westerville, Ohio Division of Police, our thoughts and prayers are with the immediate family of Sergeant Luis A. Meléndez-Maldonado and the extended law enforcement family of the Puerto Rico Police Department, Puerto Rico. End of Watch: Wednesday, October 12, 2016. Rest in Peace brother and watch over us. I fight not for glory or fame, for they are momentary. I fight for those who can't. I fight for Justice. I fight for the oppressed and the down trodden. And if I should lose my life for these just causes, then I have no regrets, For I serve to protect the innocent. It matters not where or when, for evil knows no boundaries. Be it fire, flood, or the threat of tyranny, I will not flee. Justice is my weapon. Faith is my shield. Hope is my armor. Cry not at my passing, for it was my Honor to fight for you. Shed not tears of sorrow, But tears of joy, for now, I stand with God. "Greater love hath no man than this; that a man lay down his life for his friends." En paz descanse mi Hermano en azul. Rest in peace my brother in blue.